If your directory belongs in the Top 10, please let me know -- please note that the focus of your site must be on affiliate programs. Include your traffic as reported by Alexa.com. AssociatePrograms.com (10,802) -- Allan Gardyne has one of the best directories going -- it screens out the riff-raff. Active forum, too. Not to be missed. 1) Drill-down through the relevant major categories of the directory until you find "good fit" sub-categories. You'll find one or more merchants in each subcategory that should fit into your Site Concept well. Enter what kind of merchandise they sell. Also enter the URL of the "join page" to the POSSIBLE PARTNERS column in your MASTER KEYWORD LIST, for each keyword that is relevant. 2) Use their search tool. 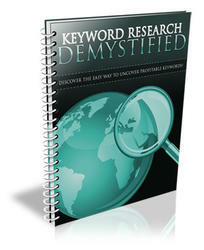 Do keyword searches at three levels of specificity. Let's start with the most specific and then get progressively more general. 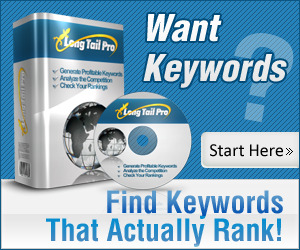 b) Find matches for your General Concept Keywords (ex., "pricing" and other "concept-level" keywords that you develop, such as "fulfillment," etc.). c) Find matches for "cross-concept companies." These are companies selling products that fit with most or all concepts. For example, whether your concept is about Renaissance art or pricing or fashion, you'll find books about it. So always include a book store in your group of affiliate programs. Video/DVD When you find programs that fit, read the reviews and look at the ratings. 3) Also use their search tool to find the POSSIBLE PARTNERS that you have already identified as candidates (just enter the domain name into the search tool). Does the report seem positive? 1) Use the forums. Review them for comments about programs that interest you. And ask questions if you don't find the answers you seek. Most of the above directories have a forum where you can ask questions. So don't be shy -- ask whether Company ABC really is about to close its program! I don't recommend that you e-mail the owners of the above directories. They are swamped with work. However, if you post to the forums of some of the smaller ones, there's a good chance that the owner himself will answer you. Give special weighting to the most profitable -- the most popular ones often just reflect the results of major promotional pushes, and not necessarily profits. These are the ones that are "getting the job done" and making money for affiliates. Read the "personal opinion" Top 10, too. One drawback of any of the Top 10's. They likely will not cover programs that fit your concept. Don't pick a Top 10 unless you can figure out how it fits into your concept. 3) Subscribe to their e-zines to stay up-to-date. There's some excellent material in them. 4) Read the articles. But don't get sidetracked -- you can get that famous golfing disease... "paralysis by analysis." Keep moving forward.